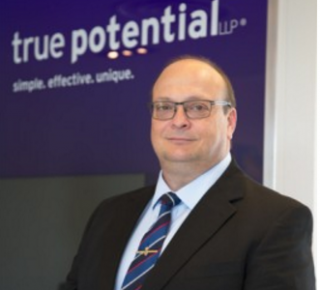 As a Wealth Manager with True Potential Wealth Management, part of the highly-successful True Potential group of companies, I’m committed to delivering better value and choice for my clients. Planning for your financial future is more than just looking at figures; it’s the people and dreams behind the figures that matter the most. Everyone’s personal situations are unique, I will take the time to get to know you and what’s important. Whether it’s a worry-free retirement, saving for your children’s education, fulfilling a lifelong ambition, running a prosperous business or leaving a legacy to your loved ones, we can work together and plan how to achieve your goals. Since 1999, I’ve been helping individuals and families reach their financial goals. I started my financial services career in South Africa and moved to Felixstowe in Suffolk in January 2006 where I built a successful practice as a Stock Broker and Financial Advisor. Since that time, I’ve continually enhanced my knowledge and expertise through industry events and formal training. I’m also committed to giving back to my local community. I’m an active member of the Royal British Legion and participate in their fund raising programs.